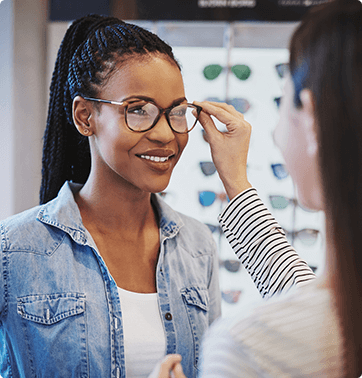 At Advanced Sight Center, we have an on-staff frame specialist, who determines what’s best for you based on your prescription, the physical attributes of your face and your lifestyle, job and hobbies. 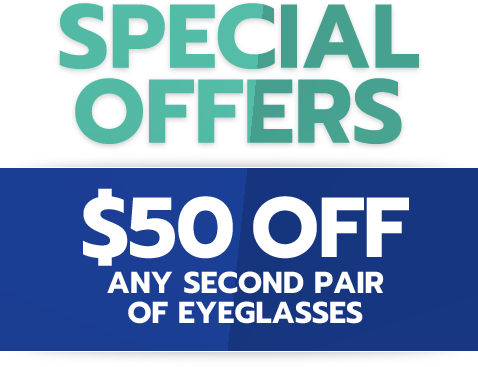 We carry the latest contact lenses and sunglass lenses such as, No-line bifocal, single vision, photochromatic (darken outdoors), Varilux® progressive, sports, and safety lenses. Our contact lenses range from daily-wear, extended-wear, bifocal, astigmatic, colored, disposable and aphakic lenses (for children with congenital cataracts). Rinse glasses with lukewarm water to remove debris. 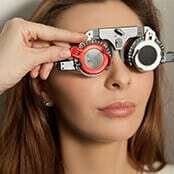 Spray optical quality lens cleaner on the lenses and wipe the lenses with a soft cotton cloth. If your lenses have anti-reflective treatment, a micro-fiber cloth can be used to clear away remaining streaks. Wash the cotton and microfiber cloths frequently. Keep your glasses in a hard case when not wearing them. Get frequent adjustments. We offer free adjustments and repairs, such as new nose pads and screws for the life of your eyewear. Use paper products such as paper towels or tissues to clean your glasses. Use harsh cleaners such as window cleaner, antibacterial soap or soap with lotion to clean your glasses. Lay your glasses down on the lenses. Leave your glasses in the car. Overexposure to heat and direct sunlight can damage your frame and lenses. Adjust your own glasses. Bring them to us for a free professional adjustment. We have the correct tools to keep your frame in good shape and properly repair it. To schedule an appointment with our optical department, call us in Washington, Creve Coeur, or Bridgeton, Missouri.